A study conducted on resveratrol has revealed it does not offer any health benefits on healthy middle-aged women. 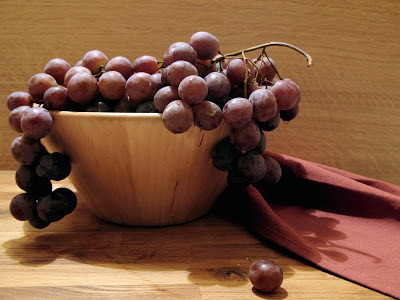 The compound resveratrol is found in high concentration in the skin of grapes. Resveratrol is produced naturally by several plants, including grapes, when pathogens such as bacteria or fungi form a threat to the plant. According to proponents of resveratrol, it activates the sirtuin gene. The sirtuin gene is an inactive gene. It is believed that when activated, it starts a survival process that extends life by slowing down aging. Aside from increasing longevity, it is also thought to improve insulin sensitivity and reduce risk of heart disease. There are studies that suggest that drinking red wine lowers the risk of health problems. Red wine is said to have two times more average resveratrol concentration than the equivalent commercial juices. Resveratrol has been in the limelight since 2006 as the champion anti-aging supplement. Despite unproven studies its claim, annual U.S. sales have risen to US$30 Million. In 2008, GlaxoSmithKline paid US$720 million for Sirtris, a start-up company trying to develop resveratrol-mimicking drugs that activate the sirtuin gene. A recent study by the Washington University School of Medicine in St. Louis on healthy middle-aged women and resveratrol indicate that these women gain no health benefits from taking resveratrol. The 12 week study involved 29 post menopausal women who were healthy and have no signs of diabetes. During the study, 15 of them were given 75 milligrams (mg) of resveratrol daily, the rest took a placebo. The team then measured the women's sensitivity to insulin and the rate of glucose uptake in their muscles, infusing insulin into their bodies and measuring their metabolic response to different doses. They reported the study results in the journal, Cell Metabolism. "Resveratrol supplements have become popular because studies in cell systems and rodents show that resveratrol can improve metabolic function and prevent or reverse certain health problems like diabetes, heart disease and even cancer," says senior investigator Samuel Klein, MD, director of Washington University's Center for Human Nutrition. "But our data demonstrate that resveratrol supplementation does not have metabolic benefits in relatively healthy, middle-aged women." Klein believes that resveratrol does not have any health benefits as far as the study has shown. But it still does not take away the fact that red wine drinkers are still less likely to develop heart disease and diabetes. Klein says there may be something else in red wine that provides the benefit. "The purpose of our study was not to identify the active ingredient in red wine that improves health but to determine whether supplementation with resveratrol has independent, metabolic effects in relatively healthy people," he says. "We were unable to detect a metabolic benefit of resveratrol supplementation in our study population, but this does not preclude the possibility that resveratrol could have a synergistic effect when combined with other compounds in red wine."